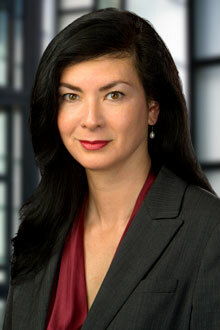 Lynn Krieger is a partner in the San Francisco office of Lewis Brisbois and a member of the Admiralty, Maritime & Energy Litigation Practice. Ms. Krieger’s practice concentrates on the defense of marina owners and operators, recreational boat insurers and underwriters, vessel owners, supply chain logistics providers, employers, insurance carriers, underwriters and P & I Clubs in both state and federal courts, in maritime personal injury, casualty, and cargo contexts. She also prepares, negotiates, and litigates contracts and service agreements for terminals, carriers, and beneficial cargo owners. Ms. Krieger has presented on current legal challenges in the maritime sector, including recently developing liability and coverage issues arising out of the peer-to-peer sharing economy in recreational boating. Marina Recreation Association – 43rd Annual Conference and Trade Show (Monterey, CA), November 2014: The Biggest Legal Issues in the Marina Industry. Marina Recreation Association – 44th Annual Conference and Trade Show (Santa Barbara, CA), October 2015: Current Legal Issues Facing the Recreational Marine Industry. Marina Recreation Association – 45th Annual Conference and Trade Show (Torrey Pines, CA), October 2016: Keeping a steady keel in the sharing economy: Implications of peer-to-peer boat rentals in your marina. 2017 Pacific Admiralty Seminar: Blackbeard 2.0 – Cyber Risk Underwriting.